SO much has changed in my business in the past 7 years. Back in 2012, I didn’t have anything that showed me the big picture of how to run a successful online business. I got lots of great coaching trainings on how to create great opt-ins and how to hold a successful discovery session, but there was NO COURSE that covered ALL aspects of online business ownership from soup to nuts. I can’t even remember how I found Marie Forleo and B-School in 2013 but THANK GOODNESS I did. It was an unbelievable gift that completely changed the way I ran my business. I was instantly drawn to Marie’s organized and fun way of teaching how to actually run a successful business online – from list-building to website development to marketing – it felt like a 1-stop shop for everything I needed to make money online. I watched Marie’s free videos and immediately signed up for B-School. And, boy, did it work! Launched my own online legal course called “go bare now” in a 6-figure launch in my first-ever program launch back in 2015 (thanks to B-School!) – and the course is still going strong! Started hosting a podcast in March 2018 (almost 1 year ago!) called “Legally Enlightened” on iTunes and Stitcher with weekly episodes of legal tips in 30 minutes or less that has been downloaded THOUSANDS of times. It shares info about LLCs, trademarks, disclaimers and more in bite-sized nuggets for biz owners on the go. Become a frequent legal guest expert for over 250 podcasts, webinars and live events, including John Lee Dumas’s Entrepreneur On Fire podcast and Jonathan Fields’ Camp GLP – and I frequently speak at live events on stage like at the Bellagio (!) – and even at the same event as Gabrielle Bernstein and Kris Carr where I got to meet them both in person- really!! And, one thing I love about Marie is that she is crazy-successful and she so openly and vulnerably shares how she “was and still am Super A.D.D.” Not only that, but she is freaking hilarious. In her free video HERE, Marie shares that she has a passion for not only coaching and personal development, but also for hip hop dance, fitness, marketing, writing and speaking. She’s even been invited to speak by Oprah, Tony Robbins and Richard Branson, just to name a few – and she rocks it out every week with her widely-watched MarieTV episodes that are laugh-out-loud funny every single time. How did she do it? 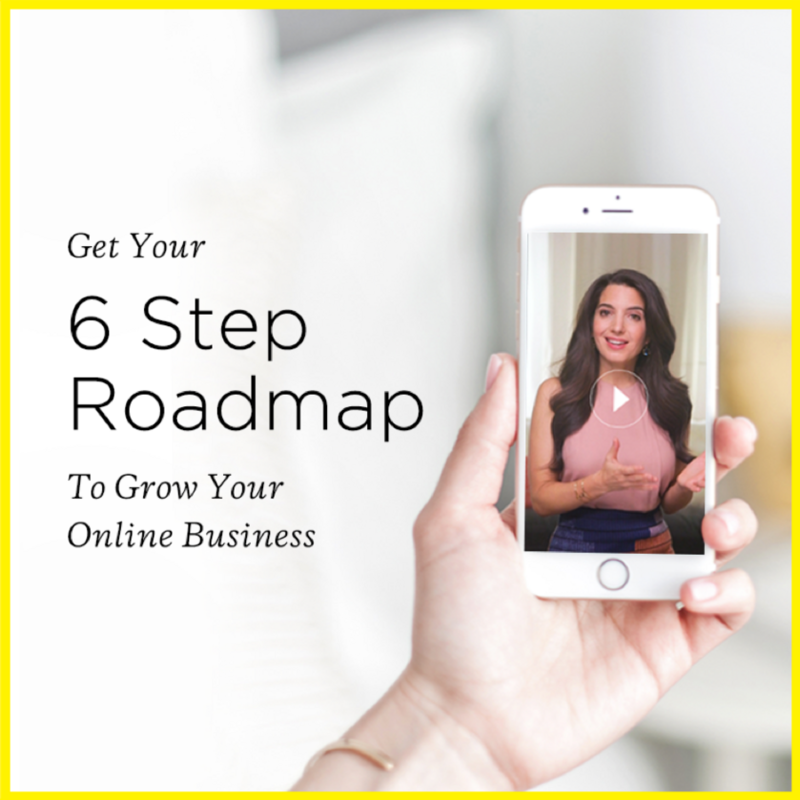 Discover Marie’s 6 step roadmap to grow your online business in this video HERE. You’ll see why she believes that big-hearted nice people like you and me are actually WIRED to succeed in this online world – and why NOW is the time to get your online biz launched and bringing you income. Intrigued? You should be. Marie is AMAZING. One of the absolute best who sets the bar for the rest of us. Stay tuned to hear exactly how she made her MILLIONS in another video coming soon! Here’s to the power and magic of B-School – and to Marie’s 6-step roadmap! I fully believe in the power of this work given my personal experience with the B-School course content. I will earn a referral fee if you later purchase through my link.